The humid chill gripping Toronto has finally managed to produce its first few snowflakes today. In an interesting parallel, I have also managed to produce a few snowflakes of my own. Taadaa! 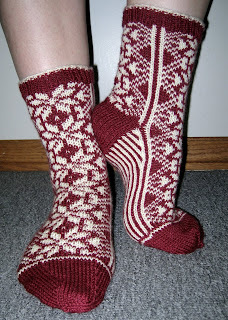 A finished pair of Chrissy Gardiner's Snowflake Socks, from the Fall 2007 issue of Interweave Knits. I'm pretty amazed that these actually fit since I didn't do anything *right*. There were no swatches, no modifications, and no regard for anything that might impact fit. These have been on the needles since late August but they really didn't require much actual knitting time and the result is warm and cozy enough to get even me into the holiday spirit six weeks early (it may have something to do with those stripy bottoms). 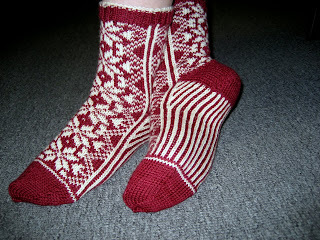 These puppies used just over 1 skein of the sportweight Louet Gems yarn that I had lying around in the main colour and just under one skein of the contrast colour. Strangely enough, this is the first time that I've used stash yarn for something other than its originally intended purpose and I am very pleased with my cleverness. 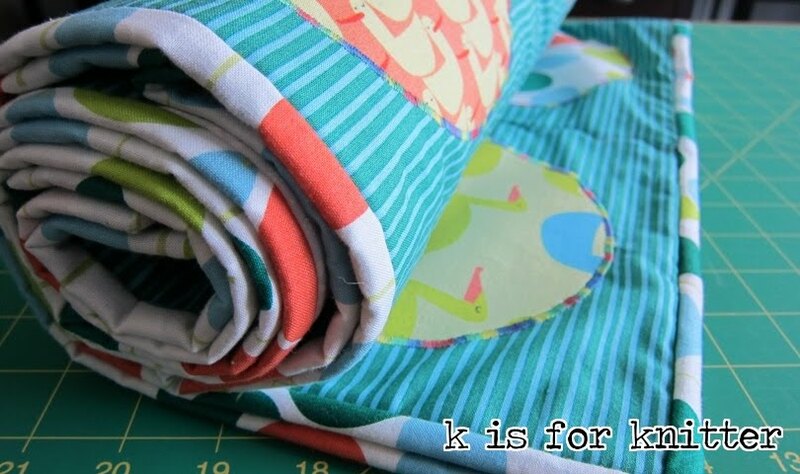 Better yet is the fact that I seem to have found the perfect project to use up that last little bit of the red yarn. Don't you love when things just work out like that. Posted by Amanda at 3:40 p.m. They look great! Nicely done. November 7, 2007 at 7:41 p.m.
November 16, 2007 at 5:50 a.m.